Every cowboy needs a horse! And a hat and a set of shiny spurs of course too. But mostly a horse. No cowboy party is complete without one. Since my son was having a cowboy theme for his 7th birthday party, I decided he needed a horse—both a hobby horse to play with and a horse on his cowboy birthday cake. 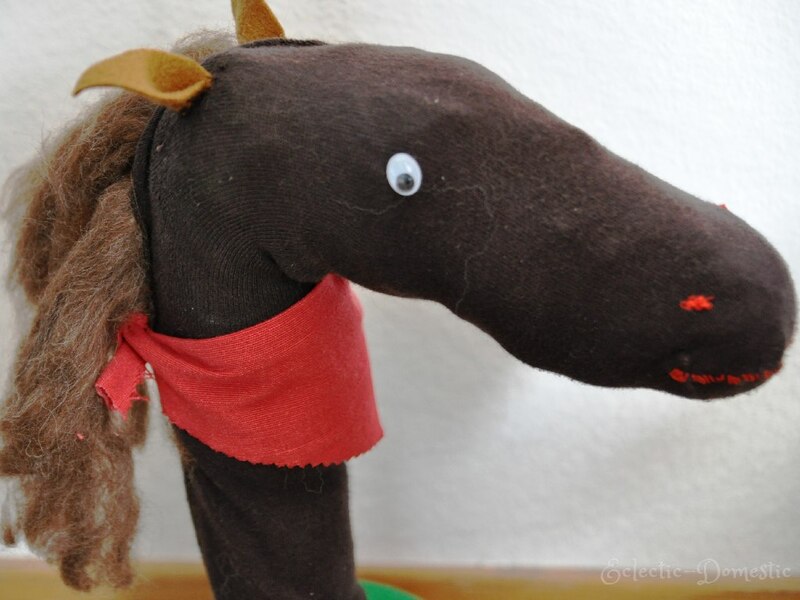 So, a few days before the party, I decided on the “spur” of the moment (pun intended) to make him a hobby horse out of an old sock. You see, I have this problem with mismatched socks. 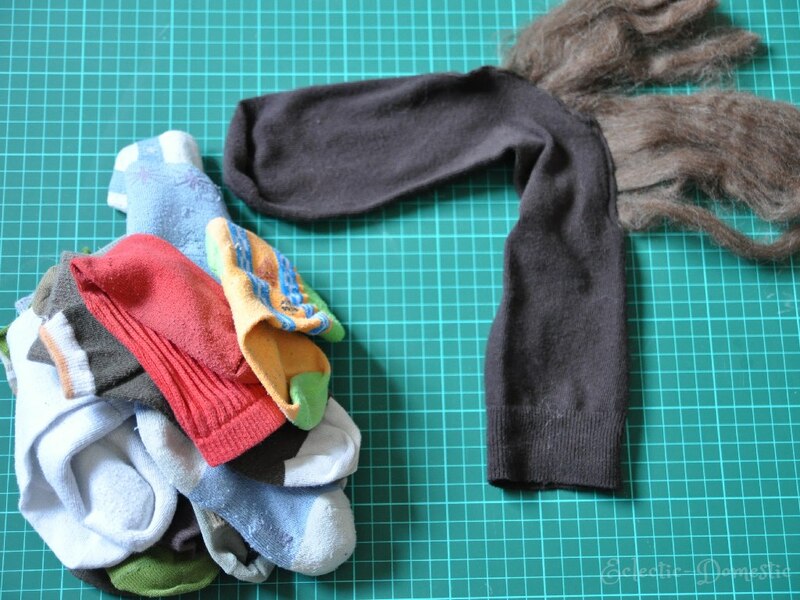 I don’t know how other mothers do it, but my sons’ socks especially never seem to end up in the wash at the same time. For that reason, I have what I call the “SOX BOX”—a sort of singles bar for the socks that have no partner. 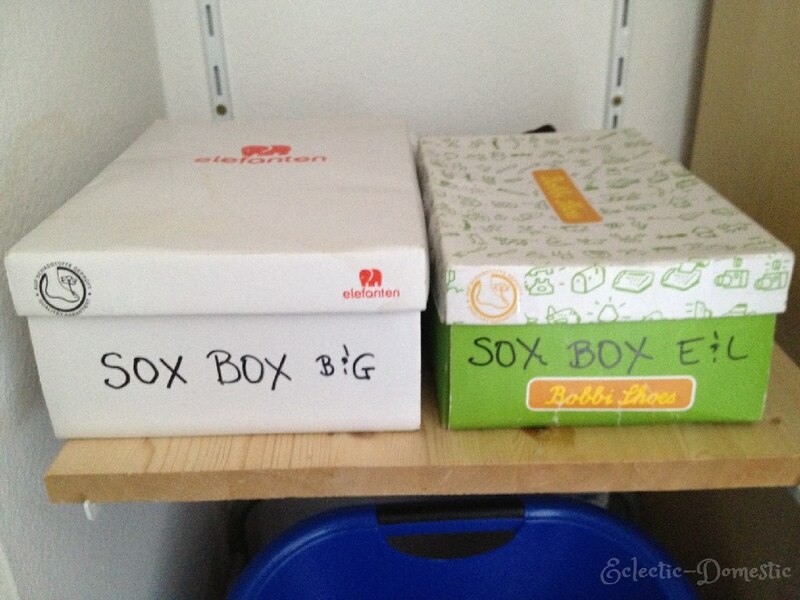 My “SOX BOXES.” I have one for the grown-ups and one for the kids. 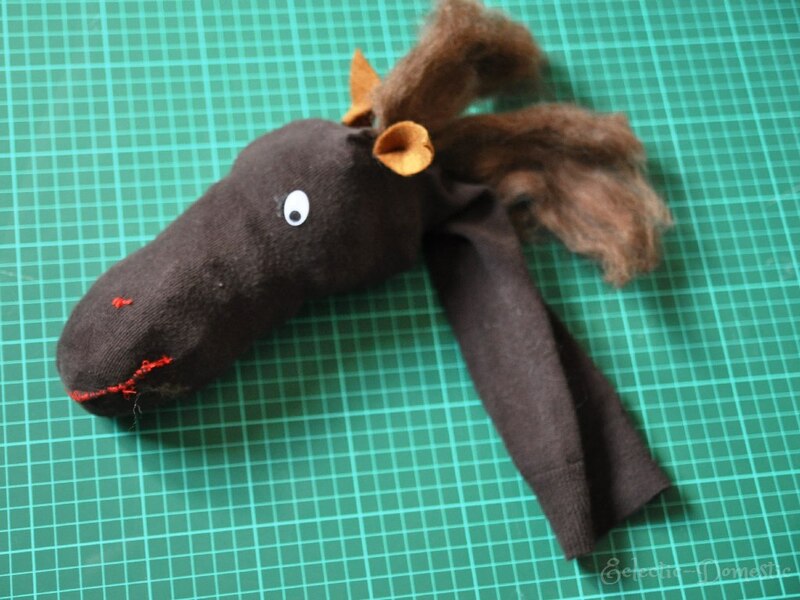 To make the hobby horse, I started with a bunch of unmatched socks and some crafting wool. First, I attached the crafting wool to the heel of the sock using my sewing machine. 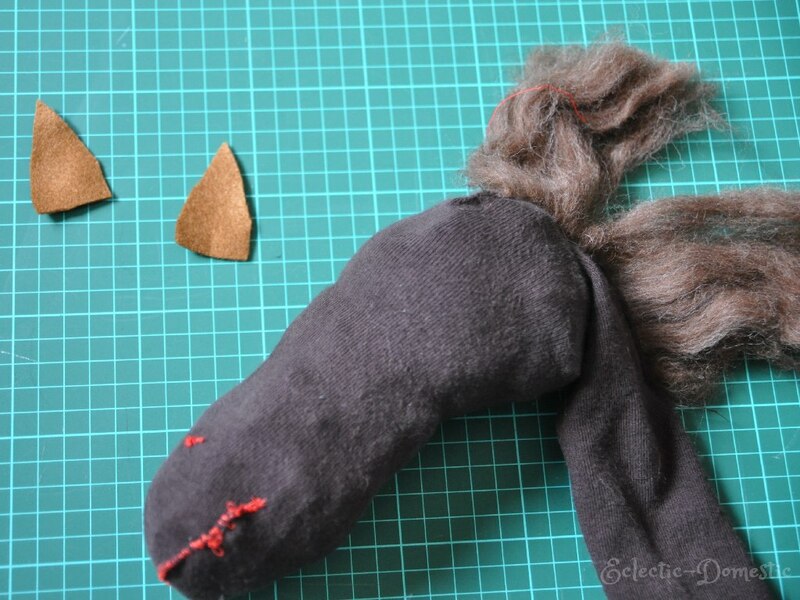 After I hand stitched a nose and mouth onto the horse, I cut out two triangles of felt for the ears. I hand sewed the ears to the heel of the sock and attached googly eyes using my glue gun. The horse was slowly taking form. 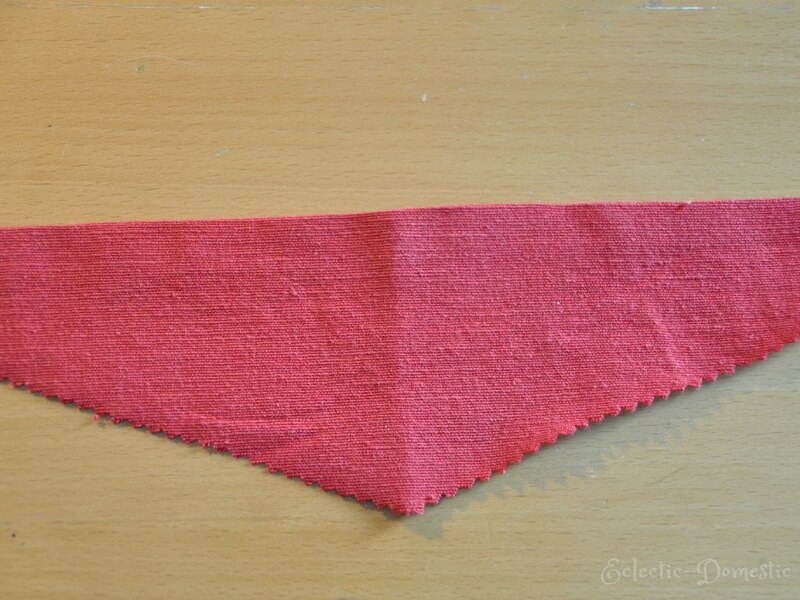 Finally, I rummaged through my big bag o’ scraps to find something to make into a bandana/necktie for my Western horse. Upcycling another scrap for the horse’s necktie. I set the finished head atop a long upcycled cardboard tube. Every cowboy should also have a cowboy cake. I used vanilla frosting and sugar, both of which I colored green with food coloring. 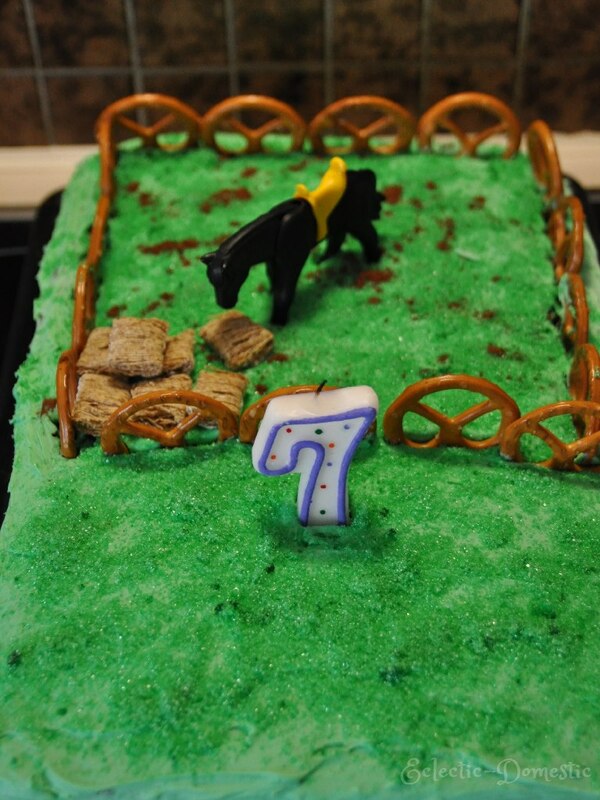 Then I added shredded wheat cereal, pretzels, a Playmobil horse, and cocoa to decorate the chocolate cake. So now he’s got himself a horse and a hat and a cake, and he’s gonna keep ridin’, ridin’ along. Well, shucks! If that ain’t the bees knees! And one mighty fine cake at that! Yeeeee Haaaaaw! I thank ya kindly. Who would’a thunk? Great job!